Vehicle theft is on the rise and the need to protect your car is greater than ever. Tracking devices are a fantastic way of keeping tabs on your vehicle 24 hours a day, 7 days a week! With an ever-increasing number of tracking devices on the market, all ranging in prices, selecting one that best suits your demands and vehicle can be quite problematic. But you can’t go wrong with any of the CobraTrack tracking devices. Recommended by a number of major, high-end vehicle manufacturers including Porsche, Ferrari, Bentley, Bugatti and many more, CobraTrack devices use the latest tracking technology to protect your car. Sophisticated GPS and GMS technology allows CobraTrack devices to accurately pinpoint the location of a stolen car, precisely highlighting its location within 10 meters! A CobraTrack device can also prevent your car being stolen in the first place. Motion detectors fitted discreetly inside your vehicle are capable of detecting and identifying illegal movement of your vehicle, therefore you can rest assured your car won’t be the victim of a tow theft. When you protect your vehicle with a CobraTrack device you get more than just a tracking system. 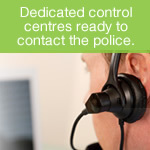 There are a number of control centres up and down the country ready to contact the police and assist in the immediate recovery of your vehicle. So you get around the clock protection, all year round! You won’t be surprised to hear that CobraTrack devices are extremely effective and in most cases stolen vehicles are returned within an hour of theft! So if you’d like to protect your car with a CobraTrack tracking device then call us Trackerfit on 0800 096 3092 to discuss your requirements!